Tatum Rice on Hashtags. Hart Photography. Hashtags, earner of $424,430, ranks second among Metallic Cat’s all-time money earners. Out of Dual Rey Tag, a daughter of NCHA Super Stakes champion Playin Tag, Hashtags has bankrolled more than $169,000 in the 2018 calendar year with limited age event wins at the Breeders Invitational, Bonanza, Idaho and El Rancho. In the weekend column, he scored Mercuria World Series wins at the Calgary Stampede and the Idaho Futurity, as well as reserve at the West Texas Futurity. 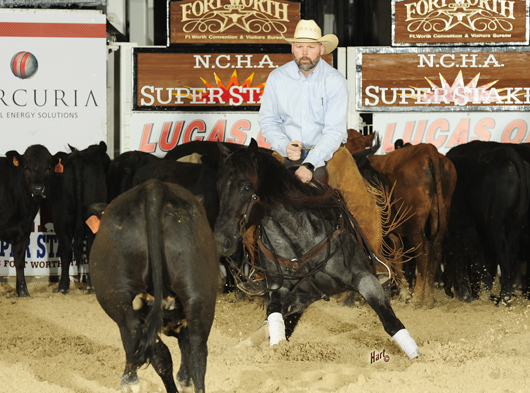 Later this week he will also contend in the El Ranch/NCHA Mercuria Open.